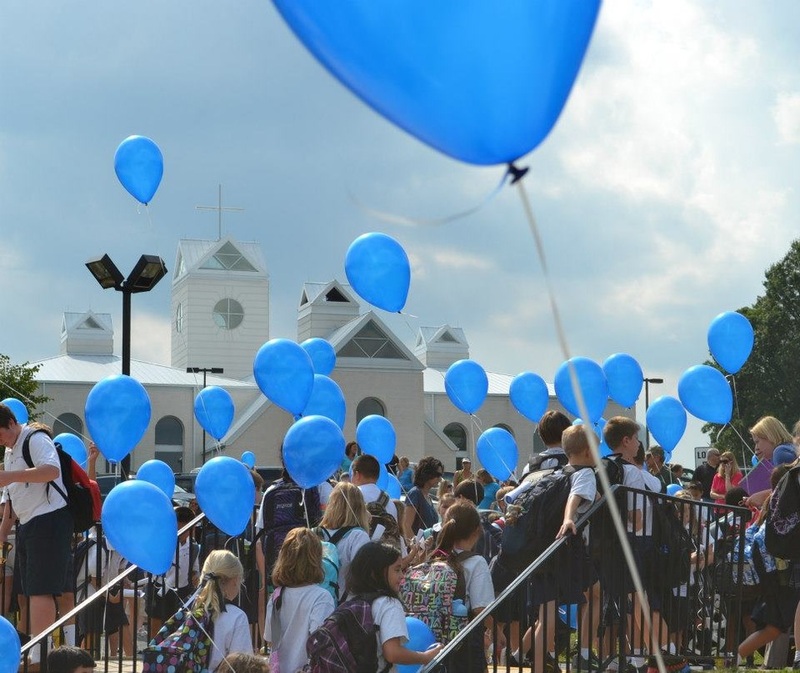 Our Catholic faith is central to our curriculum and permeates the life of the school. Students begin and end their day in student-led prayer. Students receive daily religious instruction to support their spiritual growth and this is integrated throughout all subjects. ​Sacramental preparation takes place in second grade for the sacraments of First Holy Communion and Reconciliation. 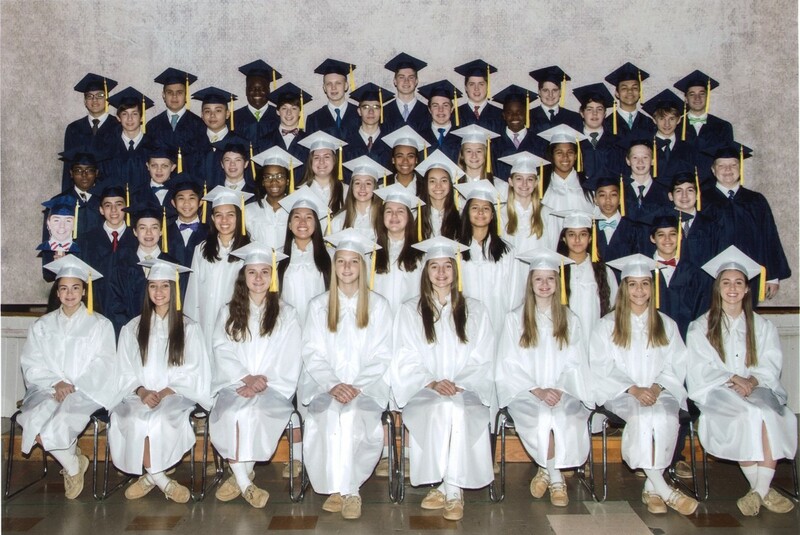 Confirmation preparation spans the seventh and eighth grade years, with students being confirmed in the Spring of their eighth grade year. Students and faculty attend Mass together every First Friday and at last one other day during the month. Twice a year students have the opportunity to receive the sacrament of Reconciliation. 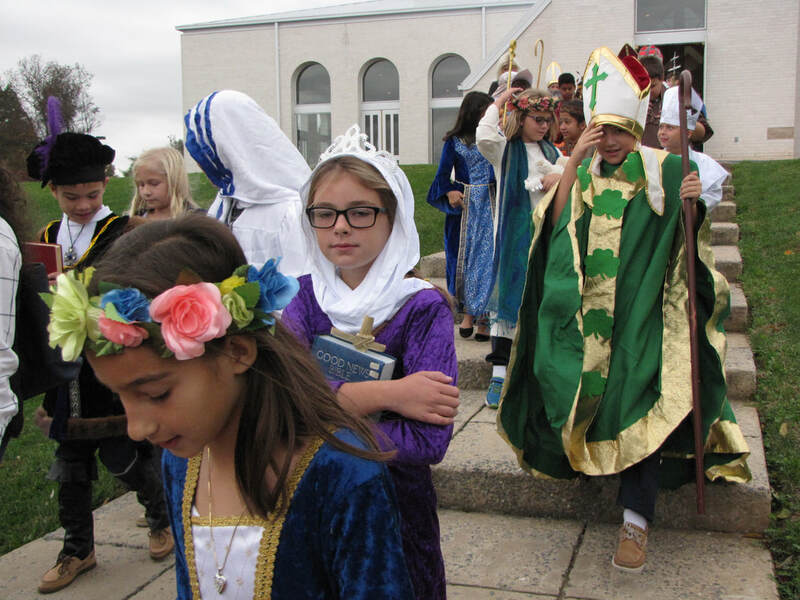 ​Catholic celebrations and traditions enrich the students' daily experience. Members of the Spiritual Life Club lead the student body in the Living Rosary, the Blessing of the Advent Wreaths, an Epiphany Procession, and a May Procession. Special feast days and Church holy days, such as The Feast of the Immaculate Conception and Ash Wednesday, are celebrated by attendance at Mass. Parents and grandparents are encouraged to attend Mass with the students. A recently introduced celebration, Baptism Day, held on the Feast of the Baptism of the Lord, is an opportunity to recognize the importance of the students' initiation to the faith. ​We continually seek new ways to enrich the faith experience of the students. Saint Peter’s is committed to broadening students' experience with a strong arts program. Visual Arts classes focus on giving students the opportunity to explore and experiment with a wide variety of materials and techniques. Introducing students to a variety of artists and art forms helps children discover their creative strengths, expands their cognitive thinking skills, and teaches them how to conceptualize their ideas visually. After-school art classes are offered for students who want to explore beyond what the regular curriculum offers. In 2014 Saint Peter's joined Project Lead the Way (PLTW) as the first school in the state of Maryland to implement Launch, the PLTW curriculum for elementary grades. PLTW instructional modules are now implemented in grades K-8. Teachers at every grade level present science, technology, engineering, and math challenges that require students to work collaboratively, using high level thinking skills, to solve real life problems. Through PLTW Launch teachers participate in training that equips them with the content, skills, and pedagogy required to teach PLTW modules. Students engage in design problems that use technology, robotics, and everyday materials to explore topics such as energy, light and sound, motion and stability, and gravity. PLTW Launch inspires in students a passion for and confidence in STEM subjects, encouraging them to continue to explore and study in these areas.